In 2009, my friend Leonie’s 22-year-old son Shane killed himself and another young man after taking Citalopram for 17 days. Shane is the kind of son every mother dreams of. A student at prestigious Trinity College in Dublin, he was devoted to his younger brothers and sister, regularly gave money and the clothes off his back to homeless people, didn’t drink or smoke and was kind, handsome, gentle and much loved by his family, friends and college professors. The media storm was immense. How could such a normal young man, from such a good family do this? How could his mother attribute his suicide and killing of another to a drug taken without incident by millions of people around the world? How could his inquest find that Citalopram affected his mind to such an extent that he was incapable of forming the intent to kill himself or another, and return an open verdict? How could Shane’s mother not crawl under a rock reciting the rosary and hanging her head in shame for what her son had done? As hard as any of us may try, we cannot imagine the shock, trauma and grief Leonie experienced in the days following Shane’s death. One day living the life of an average suburban mother and the next being asked to believe that not only was your child dead but that he had stabbed himself 19 times and caused the death of someone else. Add intense media attention and you are looking at the nuclear winter of any mother’s life. Eighteen days after Shane’s death, Psychiatrist Dr Michael Corry publicly stated his view that he could not have done what he did had he not been on Citalopram. Initially Leonie admits to thinking he was mad. How could medicine prescribed by a doctor have anything to do with what had happened to her son? As she began to research however, she discovered that the evidence that the SSRI had caused Shane to become homicidal and suicidal was far more compelling than the opinion offered publicly by a Jesuit Priest on the day of Shane’s funeral that he was ‘pure evil’ – something that either no one had noticed, or a character flaw that had taken 22 years to emerge. Predictably, following Dr Corry’s statement and the news that Prof David Healy was to give evidence at Shane’s inquest, the Irish College of Psychiatry went into a frenzy, publishing letters to the editor, seeking (and being refused permission) to testify at the inquest, giving television interviews and issuing statements. Frantically refuting the evidence that SSRIs are associated with suicide and homicide and seeking to shut down discussion on the grounds it may result in people refusing to take their antidepressants or failing to seek treatment. (Additional information on the events surrounding Shane’s death and the response of Irish Psychiatrists can be found on the blog of Prof David Healy). A jury of ordinary men and women who heard the evidence in Shane’s inquest determined that Citalopram affected him in such a way he could not have intended to kill himself or anyone else. A conservative jury made up of older people, who one might think would tend towards beliefs that young people engage in gratuitous violence, that such violence is a product of poor parenting and that suicide is sinful and should be punished, accepted the testimony of psychiatrist and psycho-pharmacologist Prof David Healy that Shane acted under the influence of a drug that altered his mind, and the testimony of his mother that his actions could not have been more out of character. Irish psychiatry, which believed Shane’s actions were a result of his genetics or environment, made life an even greater hell for his mother. Not once did they enquire about the well-being of Leonie’s other children, aged 2 – 19 years at the time of Shane’s death, despite those children sharing the same genes and environment as Shane. Their focus was on protecting the reputation of SSRIs, not ensuring the well-being of these bewildered and grieving children. 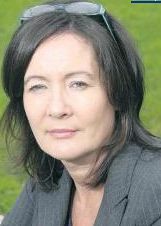 In the four and a half years since Shane’s death, Leonie has published a regular and very popular blog, appeared in the media and spoken at conferences to ensure that other families are aware of the evidence that SSRIs can cause homicide and suicide and are thus able to make informed choices about using the drugs. Her understanding of the level of proof needed to reach a verdict in the face of competing evidence is informed by her almost-completed law degree. She writes with passion and with humour, with honesty and candour but never with anger or abuse or disrespect. And yet, despite the profile of Shane’s ‘case’, despite the verdict of the jury and despite the lengthy debate of the issues in the media, psychiatrists and other mental health physicians in Ireland continue to make the most outrageous claims and promulgate the most incredible misinformation about SSRIs and – with the exception of Leonie, backed up by Professor Healy – go virtually unchallenged in the media. General Practioner Dr Ciara Kelly, for example, is on the record as saying that SSRIs are not dangerous . . . even at high levels of overdose. Psychiatrist David Nutt claimed on a BBC 4 programme that it is impossible to kill yourself with an overdose of SSRIs. Psychiatrist Patricia Casey published an article claiming suicidal pregnant women ‘desperately” need antidepressants and that the drugs will save their lives. Professor of psychiatry Ted Dinan said he can state without any fear of contradiction that SSRIs are not associated with homicide and that there is no evidence they cause suicide. None of these statements represents an impartial view of the current evidence regarding the toxicity of SSRIs, the use of the drugs during pregnancy, and their links with violence and suicidality. So how do Irish psychiatrists get away with making statements that do not accord with scientific evidence and misrepresent the facts to the public? How do the media continue to defer to them as experts, and the public unquestioningly accept their views? Are we to accept that people are apathetic or uncaring and that the media are lazy? And do we just have to live with that? The answer may lie in System Justification Theory (SJT) which has shown that as a society we tend to support and defend the social status quo and blame ourselves for the harms done to us by social institutions. Being safe and comfortable, being able to move on from the high profile events – involving Leonie’s son Shane – without making any changes in our own lives or in our society, requires that we trust Irish Psychiatry to act in accordance with scientific research and our best interests, and that kind, gentle, loving Shane – who had everything to live for – chose to kill himself and another person because at some level he was a bad person. SJT research shows us that threats to the current system whether in the form of direct attacks or its faults being exposed, lower our mood and that defending the system makes us feel happier again. A large number of studies show us that reminding people of their own mortality increases system-justifying beliefs including victim-blaming. In this case, questioning the authority and motives of psychiatry, forces us to conceive of the possibility that we could be Shane or Leonie. We or our child could have a relationship break up, feel sad and be given drugs that could cause us to kill ourselves or another. It is much more comfortable to believe that Shane underwent the most dramatic personality change in history, that Leonie is delusional and Professor David Healy and Dr Michael Corry are mistaken about the evidence. It makes us feel safer to believe that people get what they deserve and deserve what they get – than to conceive of a respected body like psychiatry acting in ways that cause harm to a large sector of the population. So should Leonie give up? Should she accept that no one wants to believe this could happen to them and that psychiatrists are not being honest with us when they say these drugs are safe and effective? Is there any hope that the people and the media will rise up and challenge Irish psychiatry on its conduct and beliefs and that the numbers of SSRI-induced suicides and homicides will reduce? Every day in Ireland fine young men like Shane Clancy are prescribed drugs that have the potential to make them homicidal and suicidal. Last year a journalism student made appointments with seven GPs, reported feeling stressed and was prescribed SSRIs by all of them. She was not warned of adverse reactions. Instead of expressing concern that this young woman was given seven prescriptions, some for a six month supply of drugs, without being warned of the risks, Dr Ciara Kelly criticized the woman for being sneaky and dishonest and defended the actions of the GPs. (More information on this can be found at AntiDepAware). Systems Justification Theory tells us that the road to social change is steep but that it is possible to reach the summit. It tells us that the conditions necessary for revolution include that people have a sense of power, feelings of anger and pride, and the perception that the system is illegitimate, unstable, and does not represent their best interests. In Shane’s name, Leonie works tirelessly to create these conditions. She supports and embraces those who have been harmed, encouraging them to take back their power and pride and to feel the anger of the oppressed and victimized. She holds up a mirror in which Irish men and woman can see reflected the house of cards on which psychiatry is based and its lack of genuine concern for the well-being of those it touches. And if their response to her is any yardstick, there is no doubt she destabilizes the comfortable world of Irish psychiatrists. Anyone wanting to rebuild the pieces of a shattered life and make a difference should be inspired by Leonie’s story. A mother whose love for her child is unwavering, an activist who consistently puts herself in the firing line, an agent of social change who may not have the luck of the Irish but has its spirit of revolution. A woman I am very proud to call my friend. A talk by Prof David Healy at the Cardiff University School of Psychology on April 30th, 2013. My lovely friend Maria has way too much faith in me, she makes me sound like a martyr, which sadly is very far from the truth. I would give anything to have Shane back, and I truly mean anything – he did not deserve to be shipped down the river by uninformed doctors and then vilified by Irish Psychiatrists. The same psychiatrists who coincidentally worked for Lundbeck, the makers of the implicated drug – Celexa. It seems like a lifetime ago, when I first contacted a strange New Zealand woman who had also lost her son. I was like a wounded animal at that stage, a bad speller, even worse writer and living in a terrible new world I knew nothing about. Maria Bradshaw, in no uncertain terms, filled my head with information, corrected my spelling, patched me back together and shoved me out the door to fight back. Toran, your mum has your back, and mine, for which I shall be eternally grateful! We are so proud of Leonie Fennell in Ireland. All of us who have been victims of harmful prescription drugs and those who know they can indeed do more harm than good feel she is a light in the darkness. We hope that our light will get brighter so more people will join us until we do know the truth about prescription drugs and that other helpful alternatives will be the norm rather than the exception. Then people will want the help they receive and will not be forcefully drugged or electroshocked. This report was published in 2007 two years before Shane’s terribly tragic death. It is clear from this that people in authority knew that psychotropic drugs can cause suicide and that conflict of interests abound in Ireland and other countries. • even setting aside the risk of side effects, some of the drugs are of doubtful…. Thank you for writing this excellent article Maria! All three of these brave women are inspirations to me. Thank you, ladies, for all that you do. You are heroes. And I’m so VERY sorry that you lost a child. I so wish the psychiatrists would stop defaming and drugging children, merely because it’s easy and profitable. My former therapist had six children in her local high school light themselves on fire, throw themselves in front of trains, and the like. And it wasn’t until the fifth child suicide that the psychiatric practitioners in the neighborhood stopped claiming all the suicides were acceptable because the children were “mentally ill.” And at that point it became a PR campaign of covering up the ADRs of psych meds, and a psychiatric community claiming they were in control and pretending they cared. But there yet to be a confession to the reality that the antidepressants do cause “suicides, violence, and [bipolar] mania,” even in healthy and good people. Defaming children with unscientifically valid disorders is grotesque. I’m truly sorry for what you’ve been through. Thank you for standing up for what is right and true. Systems Justification Theory – yep, most of us are followers, following blindly the social norms of society. The activists job is to call authority to account while at the same time undermining their credence with the majority so there legitimacy collapses. You seem to be doing this admirable. Thank you Maria for highlighting the misinformation on SSRIs that is so frequently broadcast in Ireland. Is job security responsible for the outdated views of Irish Psychiatrists? Leonie and Mary, you are true crusaders.